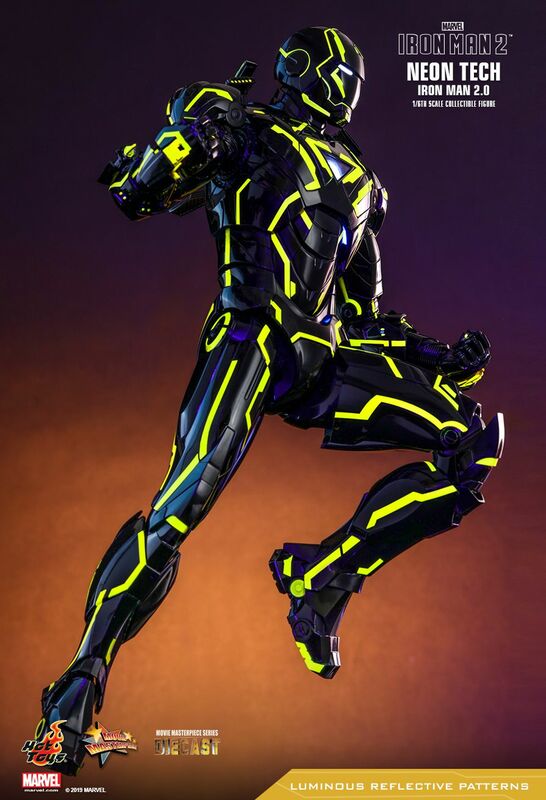 With a continuous and steady glow, neon provides a mixture of kinetic feel and seductive allure that inspires contemporary art works. 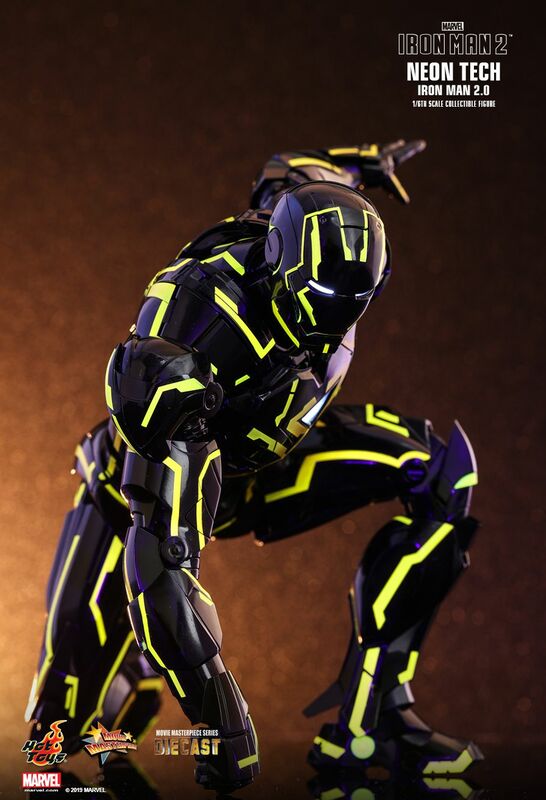 To examine the fascinating phenomenon of fluorescent shade from diverse perspectives, Hot Toys uses imaginations to deliberately explore new possibilities in extension of creativity. 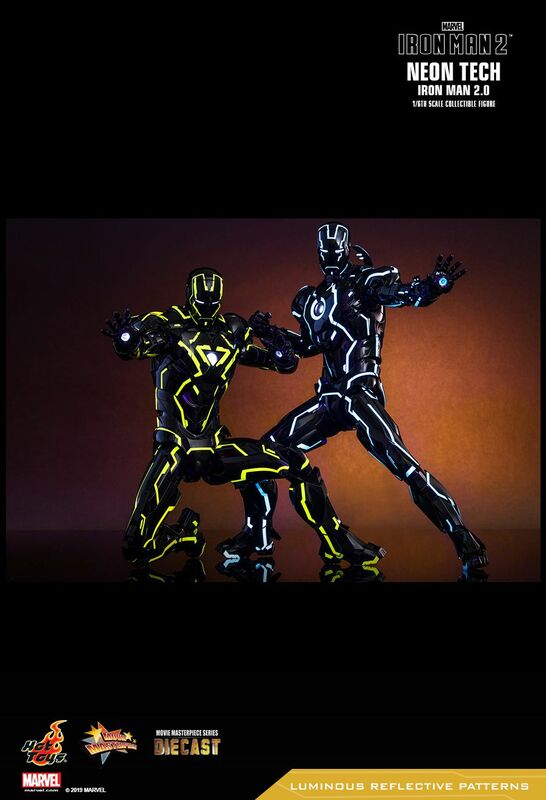 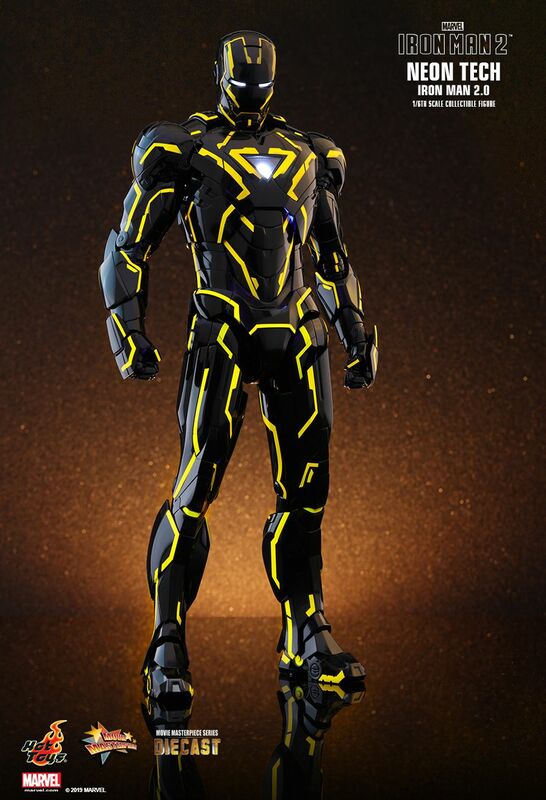 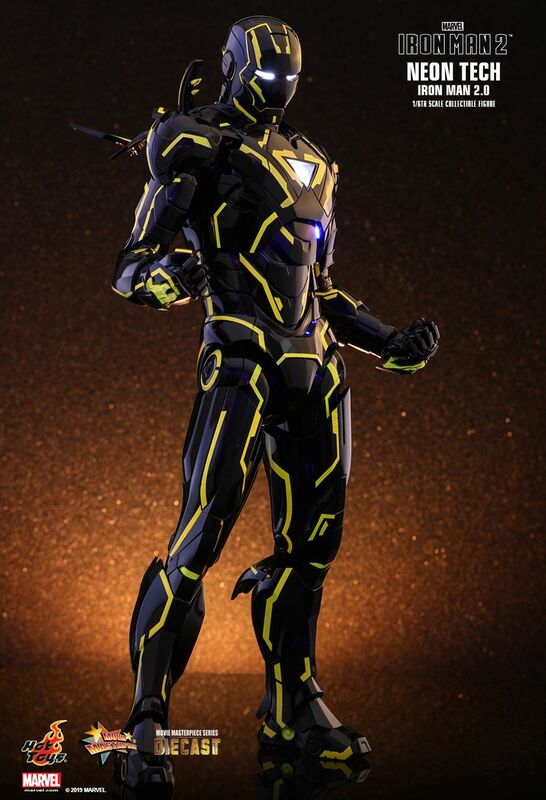 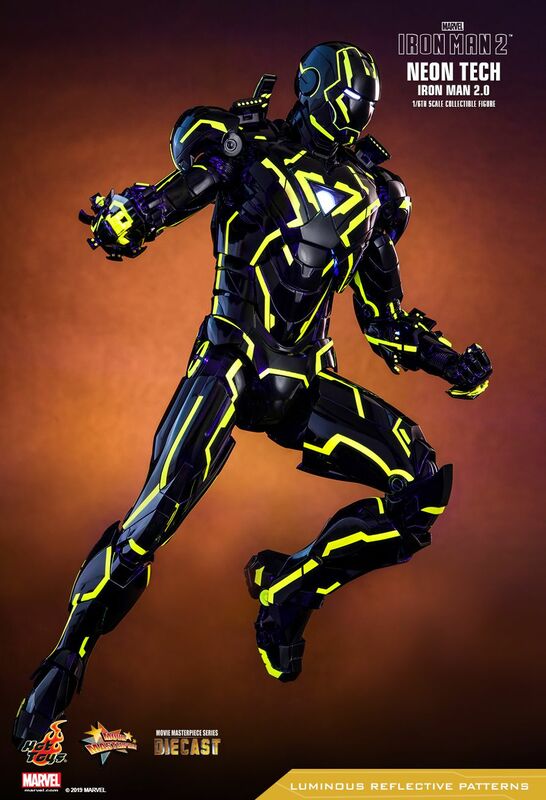 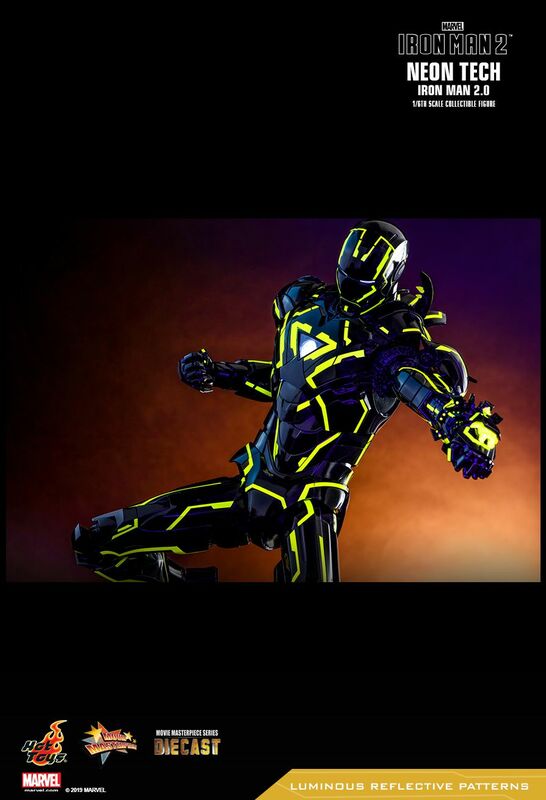 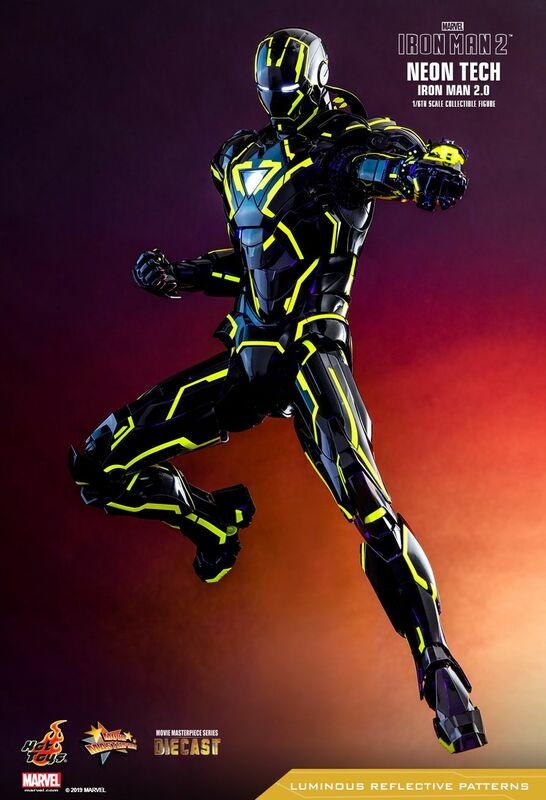 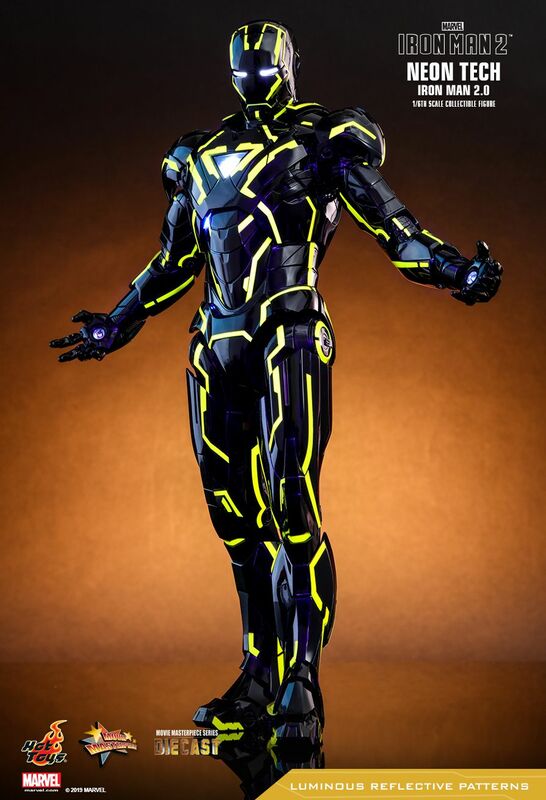 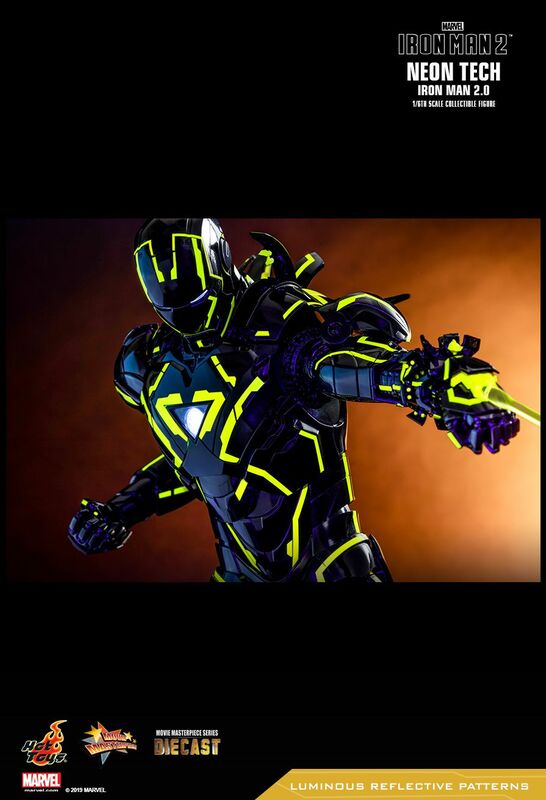 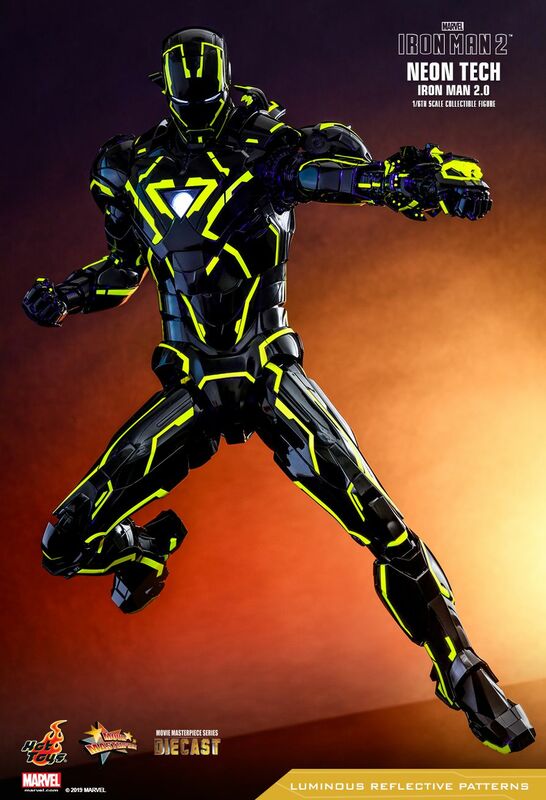 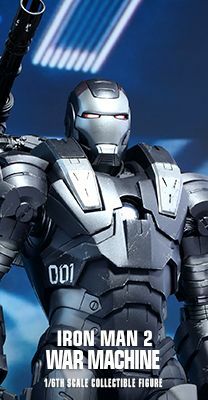 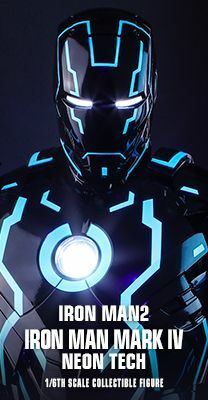 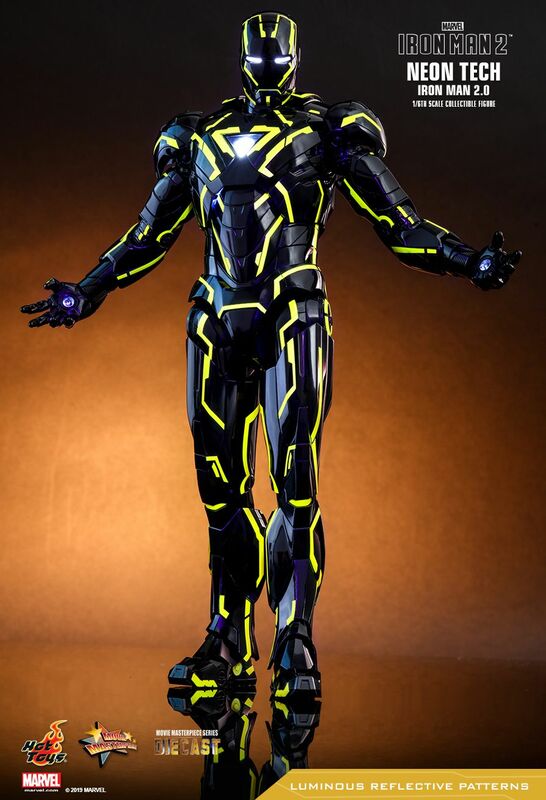 Today, we proudly present fans with the eye striking 1/6th scale collectible Neon Tech Iron Man 2.0 collectible figure that gives a fresh take on the suit of armor only available in selected markets! 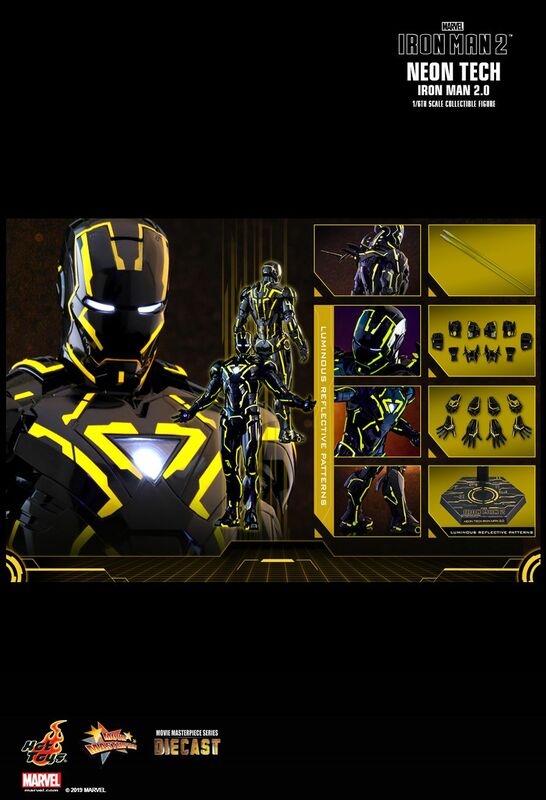 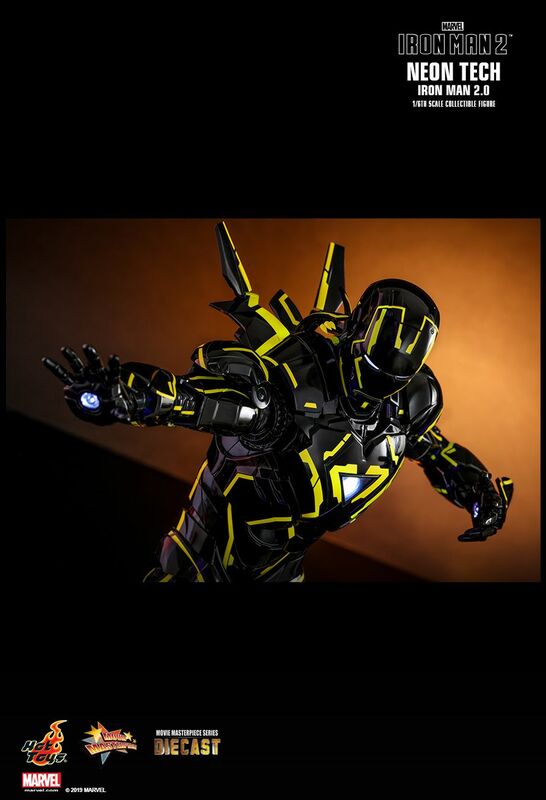 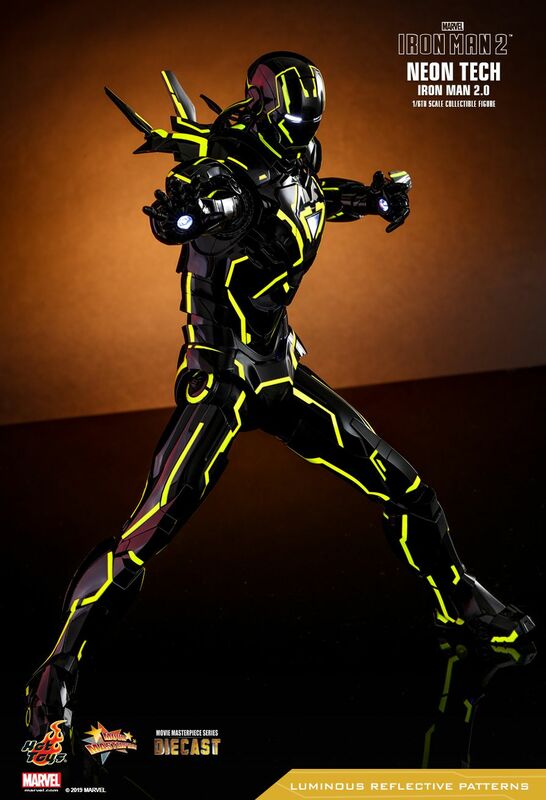 The newly introduced diecast figure stands approximately 32cm tall features sophistically developed sleek and streamline designed armor with enhanced articulations, LED light-up functions on eyes, palms, lower chest and forearms, specially applied shiny black and yellow colored armor with luminous reflective patterns appearing under specialized LED light, two sets of interchangeable forearm armor, a pair of yellow-colored lasers attachable to hands, and a hexagonal figure stand with graphic card. 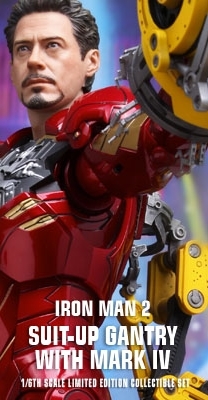 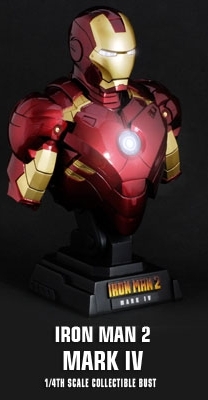 Don’t miss the opportunity to amaze friends with this special version of Iron Man figure!